Nice One Norwich – Run. Ride. Roam. 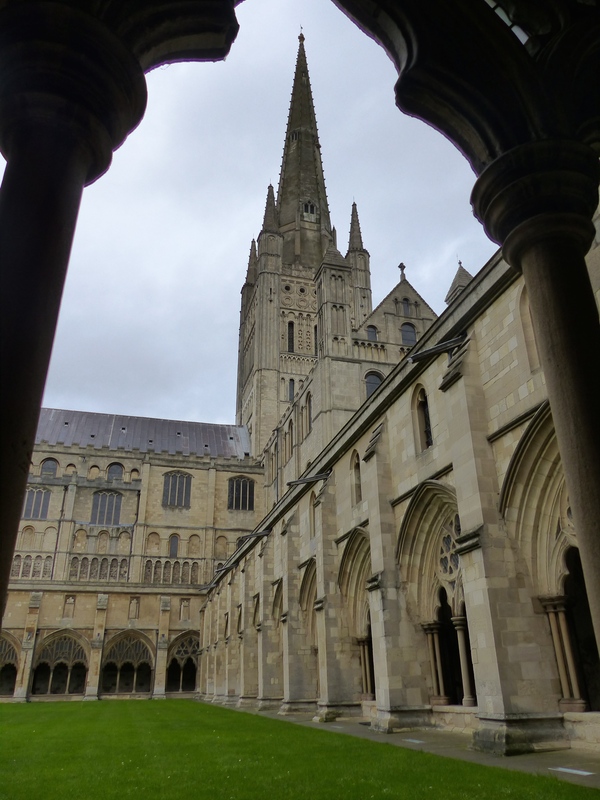 A day to roam around Norwich. We don’t much fancy cities as a rule, but we’ve had a couple of gems lately. Lincoln was lovely and now Norwich delivered too. A charming, historic city, with hidden lanes, cobbled streets and beautiful buildings that haven’t changed for centuries. 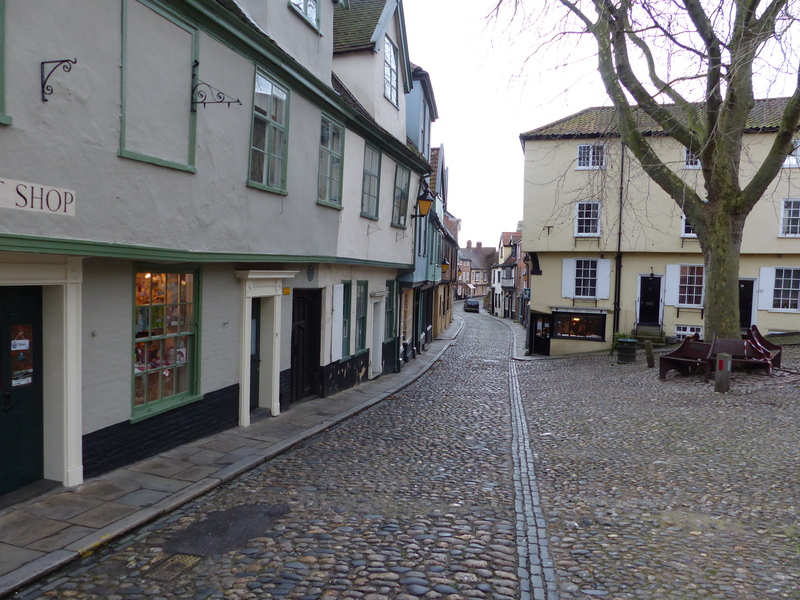 We started our meanderings on Elm Hill, a gorgeous area of the city, which was first settled in at least 1200, probably earlier. It has unchanged cobbled streets, timber framed buildings and is just a quaint piece of history in the middle of the city. 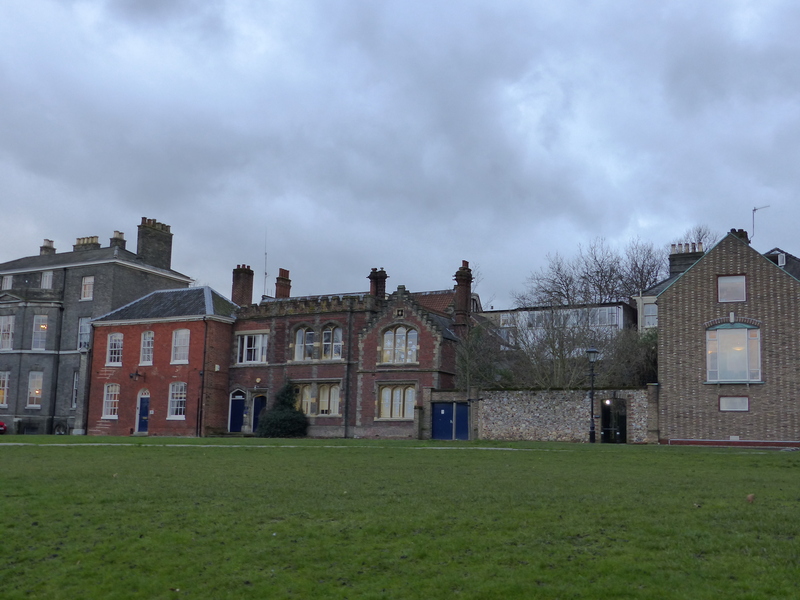 It was once home to some of the Strangers, an interesting part of Norwich’s history. 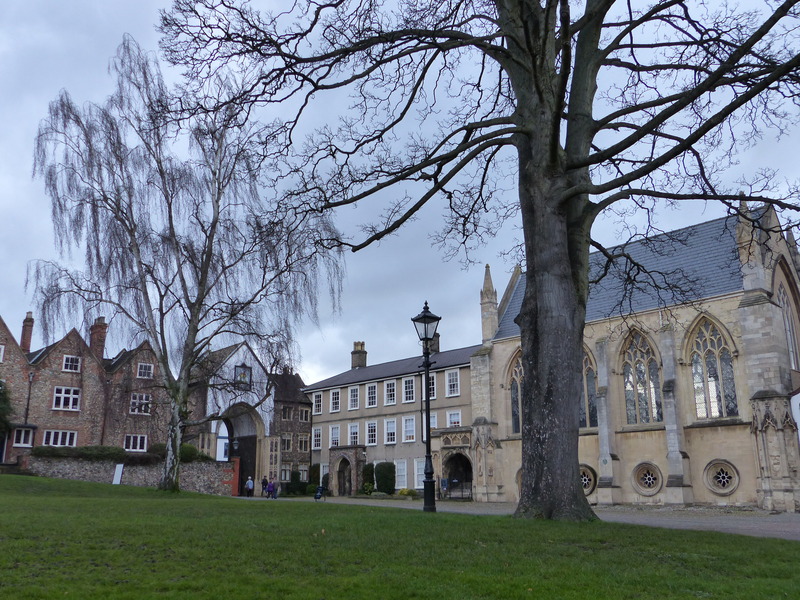 In 1565, the city’s authorities invited refugees into Norwich to boost its textile industry. Thirty households of master weavers came over from Flanders, twenty-four of which were Flemish and six were French speaking Walloons. More followed and they became known as the Strangers. At one point they made up a third of the entire city’s population. 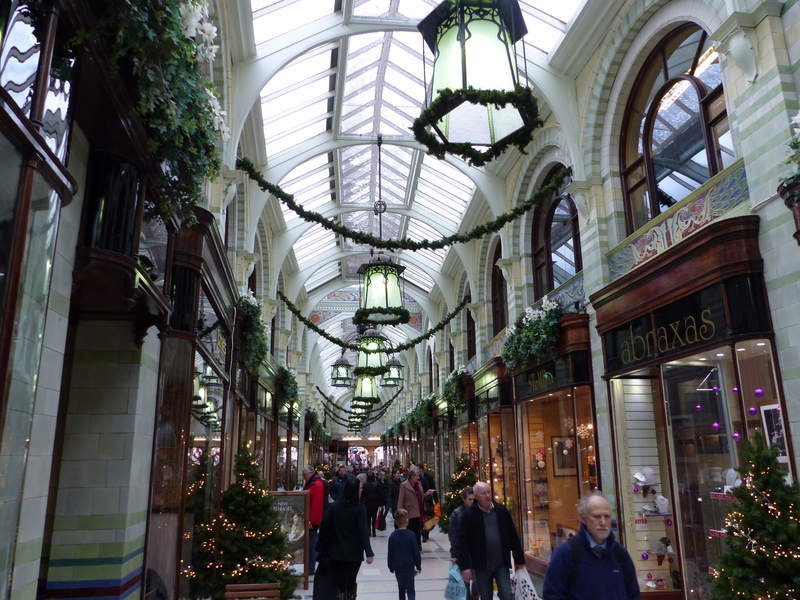 We also read about the Italian migrants in the 19th century, so it seems Norwich is a city that has welcomed diversity over the years and has become a wonderful city of many influences. 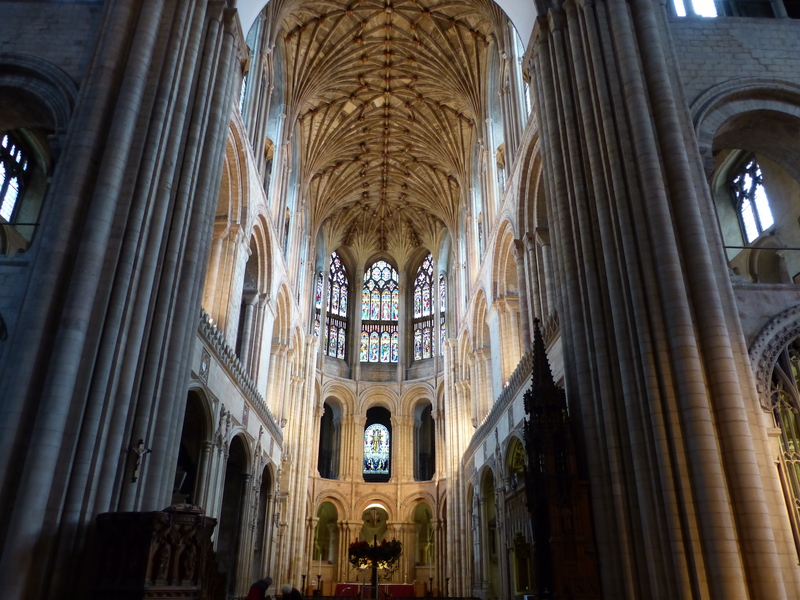 On to Norwich Cathedral and I think this was the most splendid of all the cathedrals we’ve visited. We were welcomed in by a guide and then we basically had free rein. 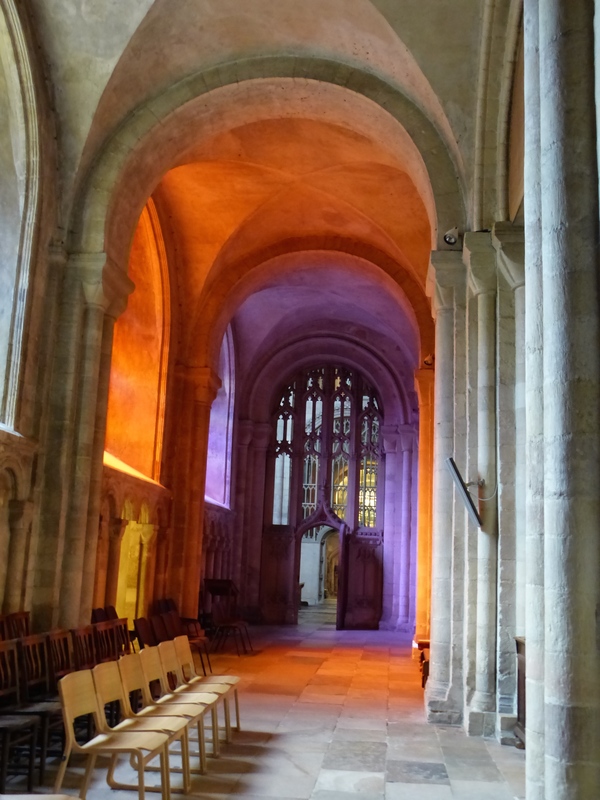 There was no entrance fee, no restriction on photography and no closed areas, we could roam freely around every inch of the building, so we took ourselves right into the inner sanctum, so to speak. It was another beautiful building, with stunning architecture and oozing history from every crevice. It dates from the 11th century and I was again struck by the age of the places we have visited. It’s amazing that we have centuries old buildings that have maintained their aesthetic and structural integrity and have survived for so long, to tell their stories. We particularly liked the font. I would have thought that anything in a church would be purpose built, made with a degree of reverence that reflects both the purpose of the item and the religious building that will house it. 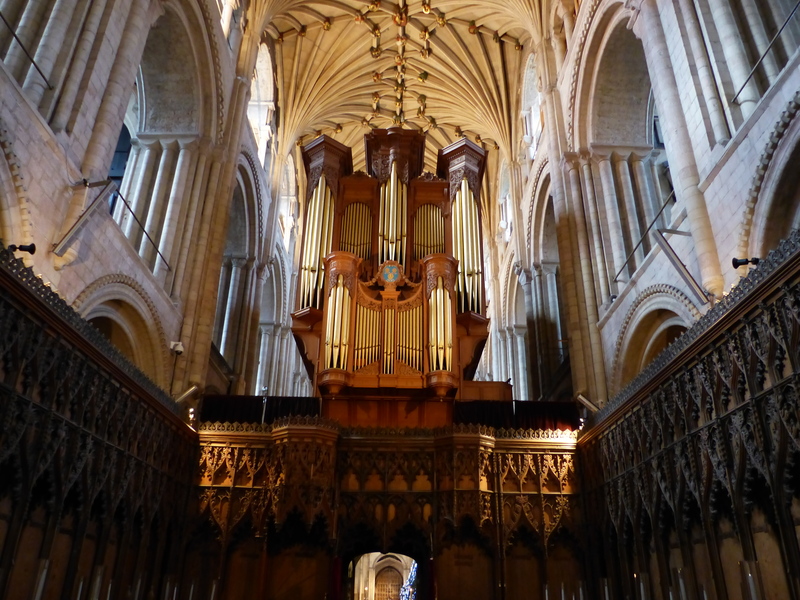 Not so the font at Norwich Cathedral. 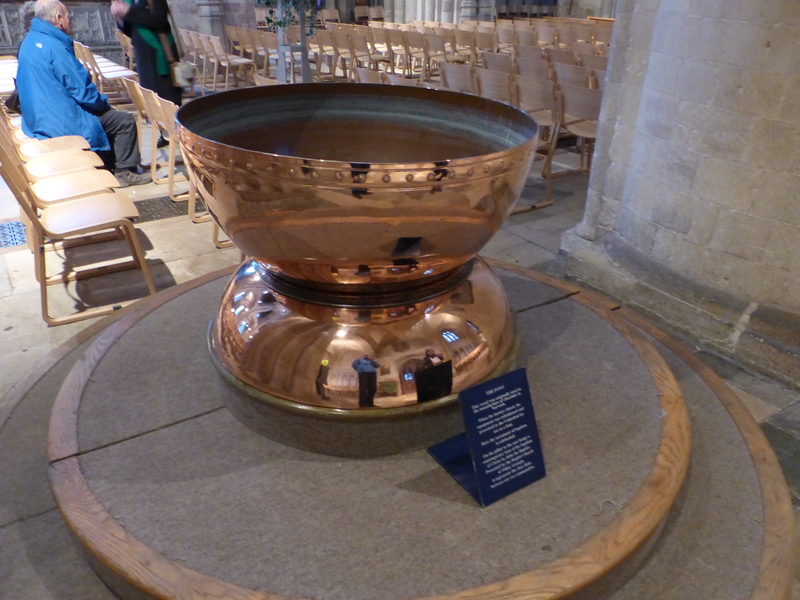 The font is used in baptisms, but it began its life in a chocolate factory! Yep, that font was once used in the manufacture of chocolate and when the factory closed, the equipment was refashioned and this particular piece was presented to the cathedral, for use as a font. Brilliant! That’s the ultimate in up-cycling I reckon! I wonder if it still has a faint whiff of cocoa about it? Maybe that calms all the babies whose heads are held over it. They breathe in the scent of that bowl’s previous life and wear an involuntary baptismal smile of chocolate joy! 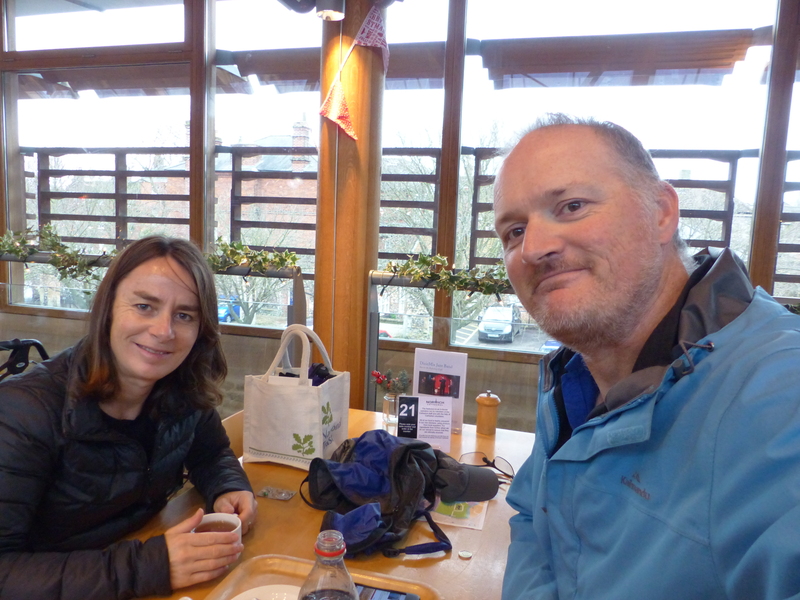 We paused for a cuppa, which was almost a resurrection of elevenses and then headed off to continue our exploration of Norwich. It was grey and really windy, but it was so mild again today. I think it reached about 15C again, so not cold at all and despite the wind, it was a great day for strolling the streets. I don’t think there’s any chance of a white Christmas with this weather. We saw some more charming buildings, made from stone and flint and brick and we even had a chuckle at some more wonky ones. I’m amazed some places are still standing! 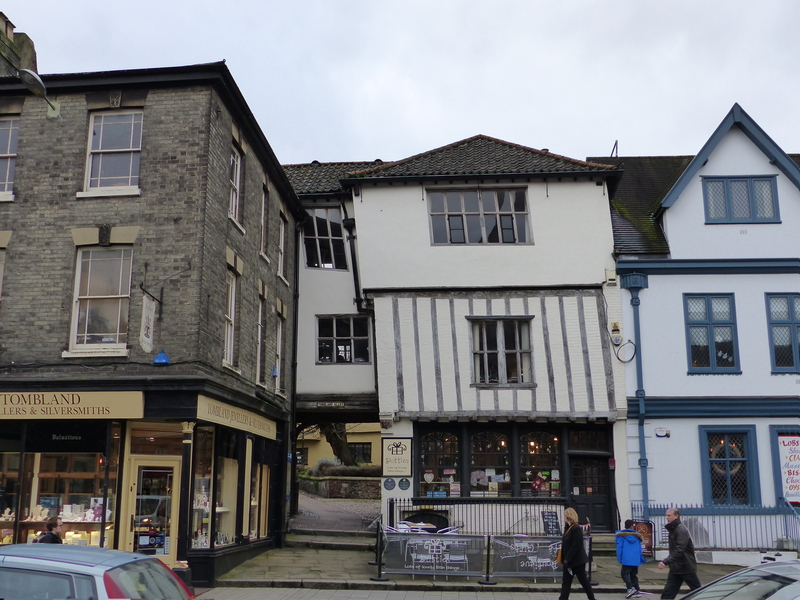 I love the wonky buildings! We continued strolling and that’s really all we did, just stroll and roam and look this way and that. 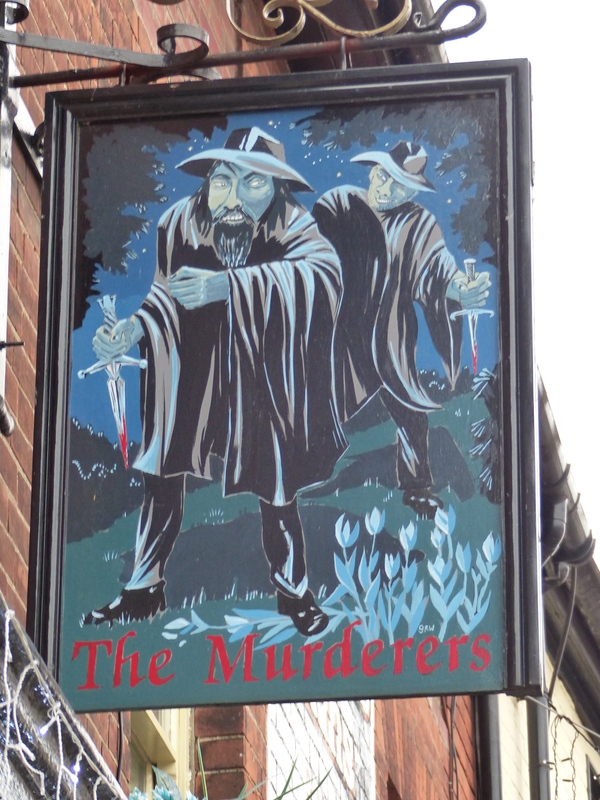 Oh, we did see another good pub sign. Another enjoyable day of roaming, strolling and reading about the history and stories of another new place. Norwich was a lovely place to roam, with so much history still there, in the buildings and streets, sitting undeveloped and unchanged in the middle of a vibrant and very eclectic city. Nice one Norwich, you gave us another pearler! Stop The Car, I Need My Sunglasses!